Our NEW range of Natural raw silk cushion covers and decorative cushion covers have found their place in homes across the world. Bringing the finishing touches to home decor. Instantly reflecting the mood, the lifestyle of the household. Quickest way of bringing in a new look with taste of the season. Add warmth, coziness, comfort and style. Imparting feeling of proximity and a human touch. 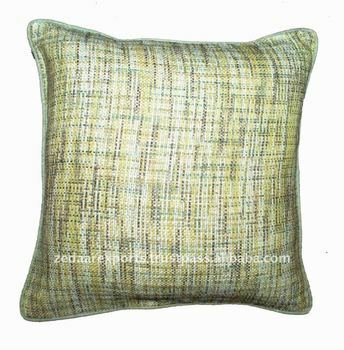 We are manufacturer and wholesale supplier of decorative cushion covers.